ECREA promotes research of its members through ECREA Book Series. The Book Series promotes collaborative research efforts, publishing edited volumes which make significant contributions to theory, research, practice and policy on a diversity of topics and areas within the field of media and communication studies. Each year, members are invited to submit proposals for Book Series publications. Apart from editing its own book series, ECREA also supports and promotes edited volumes published within Researching and Teaching Communication Series. These books are outcomes of European Media and Communication Summer School and ECREA recognises their important pedagogic aspect. Some of ECREA entities are also engaged in publishing of their own specialised journals. Book series aims to provide a diverse overview of the collaborative work of ECREA members and groups, showcasing diversity of topics and areas within the field of contemporary media and communication research. 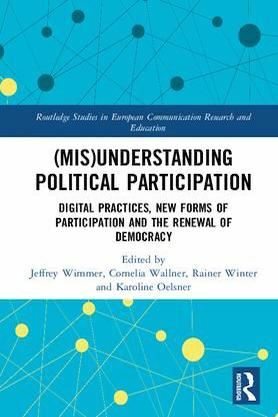 The series is published by European Media and Communication Doctoral Summer School and is financially supported by ECREA. All books are freely available for download. Journals established by ECREA Sections or edited with significant contribution of ECREA Sections, Networks or Temporary Working Groups.